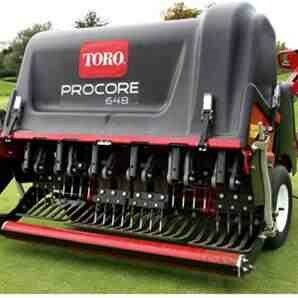 This autumn the aerification program to the greens will begin with using the Drill and Fill on the soil based greens. Then all greens will be Verti-drained and solid tined. With great success, the Drill and Fill machine was used in 2012 and 2013. The machine drills into the greens at a depth of 10 inches with one inch drill bits, removing some of the poor draining heavy soils. The machine will then fill the open hole with dried sand. These deep channels are filled with sand to encourage root development and allow water to move off the playing surface. This leads to firmer greens. When the Drill and Fill is finished, the Vertidrain will aerify the greens using a solid tine that is 10 inches long and ¾” in diameter. 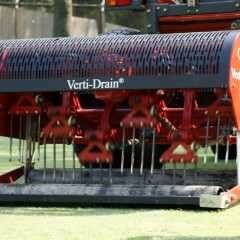 When the tines go into the rootzone there is a kicking action from the Vertidrain to help loosen the soils. The benefit from this machine is it creates capillaries to allow for oxygen and water into the rootzone encouraging root development. Once the Vertidrain has completed the deep aeration to the greens we will use another solid tine that is 4 inches long and ½” in diameter. 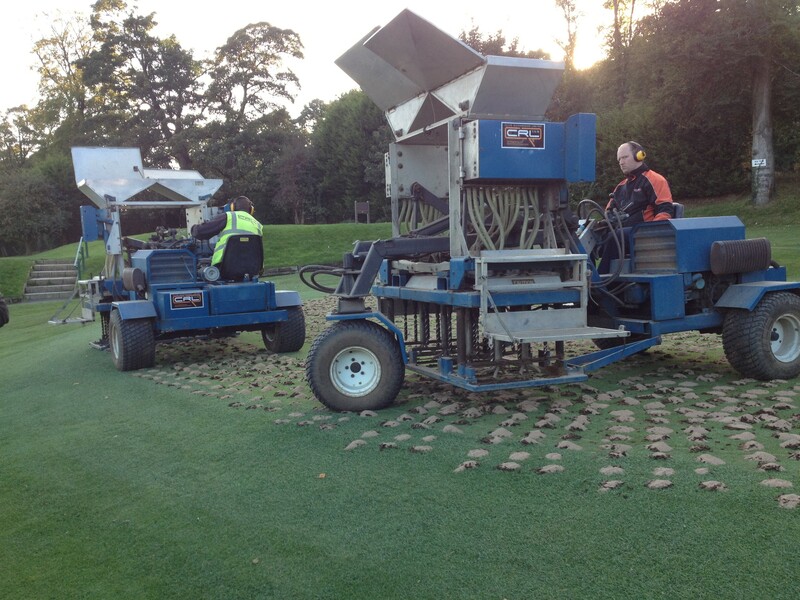 This process focuses on the top of the rootzone to help limit thatch build up. If there is too much thatch on the green, water gets held up in the area and makes the putting surface soft and spongy. During these procedures, sand will be spread and brushed into the holes. 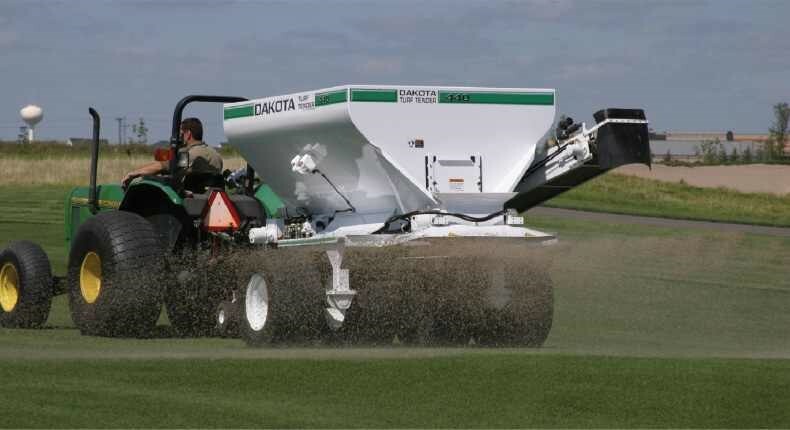 An application of fertilizer will be applied along with a fungicide to reduce the risk of a turf disease outbreak. The fairways are in the process of being aerified with the Vertidrain. Beginning on Monday, 360 tonnes of sand will be spread on; fairways, selected green surrounds and tee to fairway areas. I understand this sounds like a lot of work to be done to the greens when they are healthy and putting true, but if we do not aerify and sand at least twice a year the putting surfaces deteriorate due to the stress from golfer traffic and changeable weather conditions. Please look for notices around the professional shop and 1st tee for front nine or back nine closures.